On this page Leeann has used the ever so popular decorative strip die to make an assortment of rosettes; they are so easy and super quick to piece together, making them the perfect embellishment for any page. You can’t miss that bright background, there’s plenty of texture happening in there to. Leeann used the honeycomb textured impressions for extra detail. The button card textural plate was the starting point to this card set, then simply embellished with buttons, large rhinestones, brads and wee bit of cotton thread, finishing if off by using the basket weave and honeycomb impressions plate on some “here or there” - echo parks chalkboard pattern paper and matt. Then simply adhere to your folder cardstock. Now just sent to button lover friends! Today we have a very colourful textured layout created by Mou Saha who also happens to be a Design team member for Sizzix, you can see she has used an assortment of Sizzix dies to cut and also emboss then simply adding pops of colour through using Glimmer Mist. Thank you so Much Mou Saha for allowing us to share this very colourful and inspiring layout. You can see more of her Sizzix creations here and on her Blog here. We have another talented lady who is part of the UK Sizzix team. Janna Werner shares a few projects with us. On this first project you can see many shapes all clustered around the photo. This was achieved using the starters kit which has an assortment of shapes frames etc. Theses two stunningly beautiful cards were created by Janna Werner . 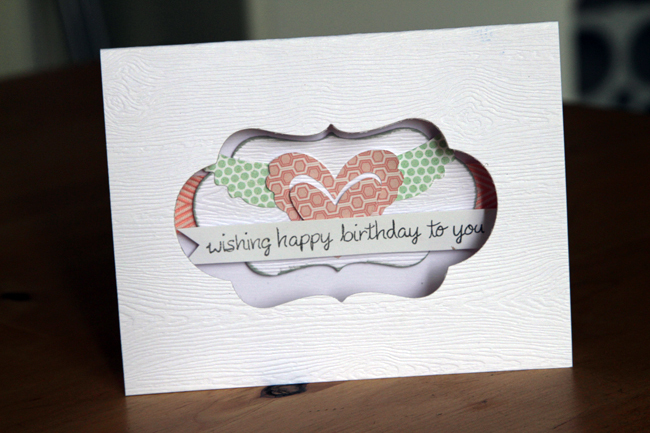 You can see the texture created by using the Sizzix embossing folders on the background. It totally adds that extra slice of detail. We would like to thank Janna Werner for allowing us to share more of her stunning creations. You can see more of Janna’s work on the UK Sizzix blog here and also on her Blog here. For this particular layout Louise has used a variety of leaves die cut from white card stock using the Sizzix Bigz leaf die, they have been adhered to the background cardstock and then coloured using Tattered Angels chalkboard glimmer mist. This adds interesting visual dimension to the layout background. Suz had fun playing with Tim Holtz’s Autumn Gatherine’s Decorative Strip die on this pretty leaf strewn page. Though all the die cuts look amazing clustered as a wreath, she decided to create a more linear look and stitched through the leaves in lines. She prepared the leaves first by curling them and then inking and glittering the edges with a soft gold. Finnabair [aka Anna Dabrowska-Pekoka]creates wonderful unique mixed media papercraft creations, and today we share with you a few that showcase her design team creativity for Sizzix. She used the Bohemian Lace Embossing folders in this gorgeous piece, along with Tim Holtz’s On the Edge Distressed Doily. Finnabair created this Klimt inspired piece using the Textured Impressions embossing folders – Bohemian Botanicals set, and shaded the relief patterns to create this amazing metallic look. She also incorporated the Tim Holtz Elegant Flourishes die behind her character. Thank you so much Anna these are just fabulous. This is a wonderful little card created by Celine Navarro for Sizzix, combining the use of the Decorative Framelits and the Heart and Wings Moves & Shapers. Finally, check out this gorgeous Framelits Christmas tree die which comes complete with stamps so you can co-ordinate your own decorations! Iris Uy considers her Sizzix dies to be among her best investments when it comes to paper crafting tools. It's ability to cut both paper and chipboard allows Iris to created design elements and embellishments for her pages as well as for her classes. In this layout, Iris shows how versatile the dies can be. She used two Christmas themed dies here and was able to use it in a friendship and summer themed layout! Talk about bringing your dies to the next level! Other elements here such as the "Friends" title and the die-cut leaves are also by Sizzix dies. Here is another example of how Iris uses the same lamp post on a non holiday themed layout - this time a masculine page. Whilst Lou Nelson has a fabulous Sizzix Big Shot she has lent it to a friend at the moment :( :( :( so instead she used some fabulous butterfly die cut shapes from the Bigz Movers & Shakers range by Tim Holtz; cut by Wendy Smith and Susan Longman. You can see a fabulous sample layout further down in the post created by Wendy showcasing the uses of the Sizzix diecuts. Louise has used the same Tattered Angels Chalkboard Glimmer Mist to colour the die-cut butterflies [which are calico on card], as she has to create her arty layout background. Oh what fun Chris had playing with the Sizzix/Hero Arts Stamp & Die Cut Garden Flowers Set! No matter what your level of stamping expertise you will enjoy creating cards or layouts with these sets. Chris heat embossed the stamped images in the Garden flower set and then quickly popped them through her die cut machine to create these two great accents for her card. No fussy scissor work needed, the die cuts do all the hard work for you! To create a great texture behind the flowers Chris used the new Sizzix embossing folders called Textured Impressions. This gorgeous pattern is from the Flower Rings & Clusters 2pc set by BasicGrey. Chris opted to do a little fussy cutting this time with the stamped image. She stamped the image onto the Basic Grey Hello Luscious paper and then fussy cut with her scissors around the image. She then ran a piece of white cardstock through with the flower die cut to create a lovely white background for the fussy cut stamped flower. Going one step further with the stamp and die cut set Chris this time ran a piece of white cardstock through the die cut machine with the flower die and then with the embossing folder. She then stamped the flower image onto the Basic Grey Hello Luscious paper and fussy cut it and adhered it to the centre of the die cut negative in the white cardstock. She stamped the same flower image one more time on the same piece of pattern paper and fussy cut just the flower head and leaves and used 3D tape to adhere them to the card. Louise W created this little gift box by using a papermaché box as a base and covering it with the Basic Grey paper. She then added some texture paste with a sponge and inked it with distressing ink when dry. The Sizzix Framelits were stamped, coloured in and then diecut before adhering around the box. Prima flowers and leaves were then adhered and the box was finished with some Prima lettering. The butterflies are from the same Sizzix stamp/die set and were stamped onto transparency before colouring with some alcohol inks in pinks and bronzes. A big thank you to Wendy Smith for allowing as to share this simply wonderful layout which showcases both the Tattered Florals and mini butterflies dies by Tim Holtz perfectly! Wendy has used the dies to cute flowers and butterflies from calico, and then has decorated them with stamping and paint. Don't they look fabulous!! The amazingly talented Melissa Phillips created this gorgeous little owl out of the Tim Holtz suitcase die! The layering and soft colours are gorgeous and we loved the innovative use of the dieform. Louise W loved this little gift topper/tree ornament by Pam Sparks. She used the Tim Holtz birdcage as a base and combined it with other dies and punches to create a sweet, vintagey little project. This next example comes from Janet Ribet who is creating this card from her home in the Indian Ocean on the small island of Mauritius. We love how beautifully Janet has used the Sizzix Framelits die set. If you take a look at the close up photo you can see that Janet has stamped the image on the background white card and she then placed another piece of cardstock onto of the white card and used the Sizzix Framelits die cut to cut the outline of the stamped image so that it pops through from behind! What a fabulous idea! I'm sure a lot of people had never though of this idea, so thank you Janet for inspiring us all! How super fun is this card by Tiffany Ervin!? Here's what Tiffany had to say about using the new Hero Arts/Sizzix stamp and die cut set. "Such a great Hero Arts/Sizzix set for a girlfriend card...girl's night out or even a birthday, or wedding shower card". Tiffany has paper pieced this stamp set to perfection! Thank you so much for sharing your fabulously fun card with us Tiffany! We’ve got a lot of fabulous to look forward to from Sizzix this year, whose designs and dies just keep getting better and better!